Excellent high protein snack for summer and winter activities, or as souvenirs as it does not need to be refrigerated. 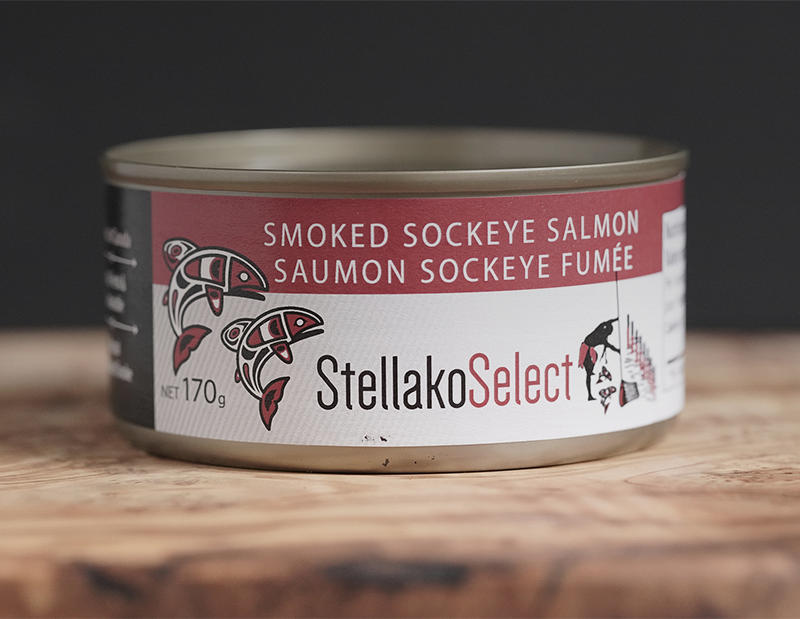 Natural Hardwood smoked canned sockeye with skin off and bone-out is lightly salted with a subtle smoky flavour. 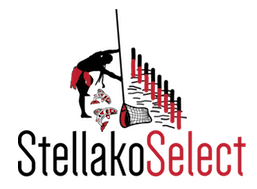 Contact us for wholesale purchases. 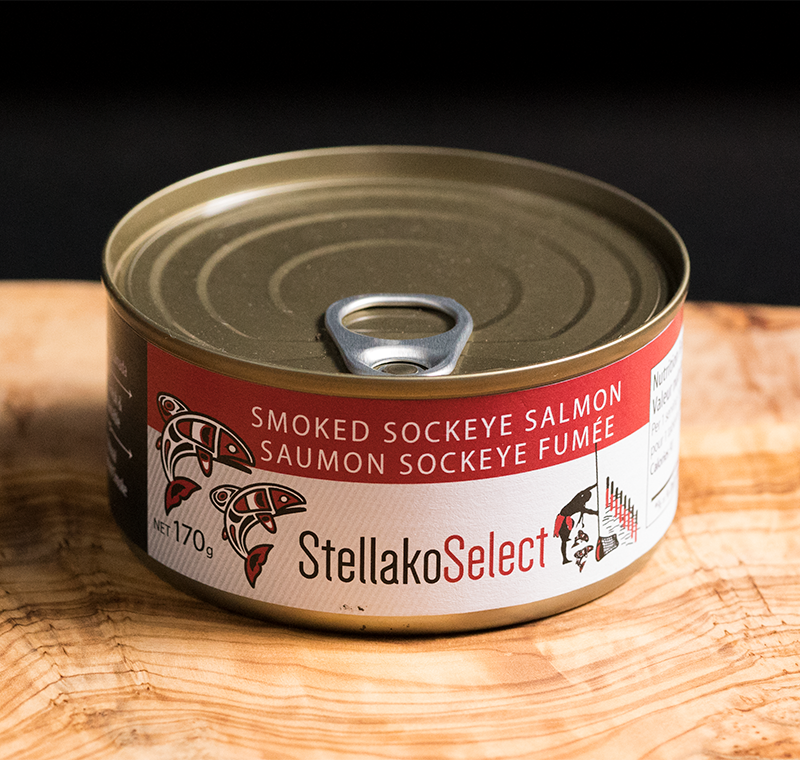 Comes in a 6 0z (180 g) smoked canned sockeye with a pop-top lid. Preparing: Just pop off the top and ready to eat as is or use in your favorite recipes. Great for sandwiches. 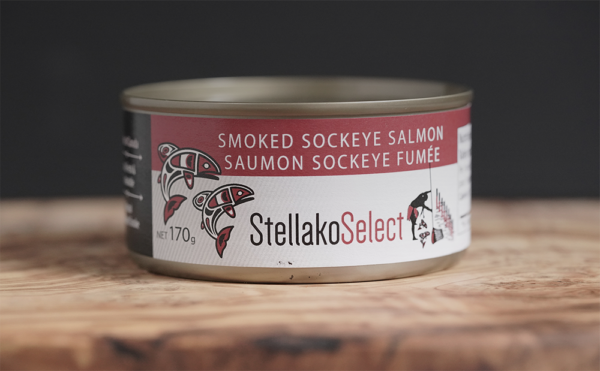 Stellako sockeye travel nearly 900 Kilometers from the Pacific Ocean and up the Fraser River, to seek out the productive glacial gravels and clean abundant water flows found in the spawning grounds of the Stellako River.